Tunnel Creek was really cool! I know I sound like a big kid when I say that but it was just really fun and quite amazing! 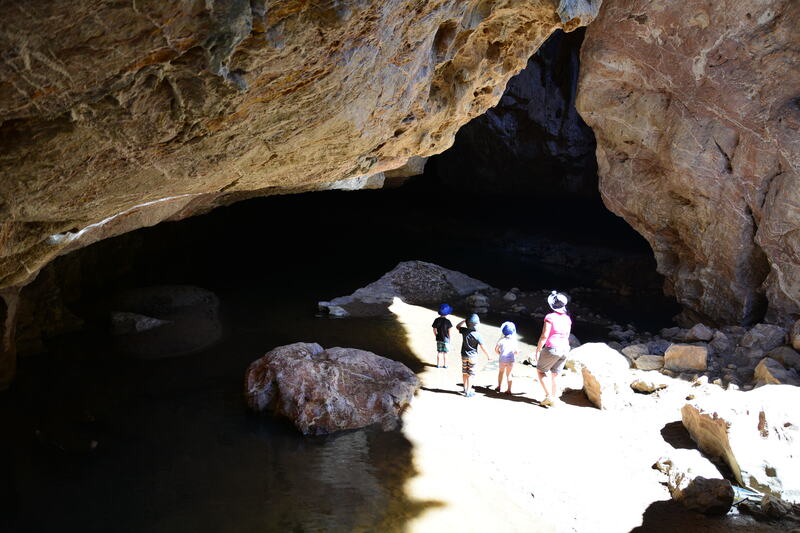 We had read lots about it but I wasn’t really that excited about walking through a dark tunnel filled with bats and freezing water and if rumour had it correctly – fresh water crocodiles! But after being strongly encouraged to visit by a follower on our Facebook Page (thanks Tracy!) we decided to check it out and boy are we glad we did! 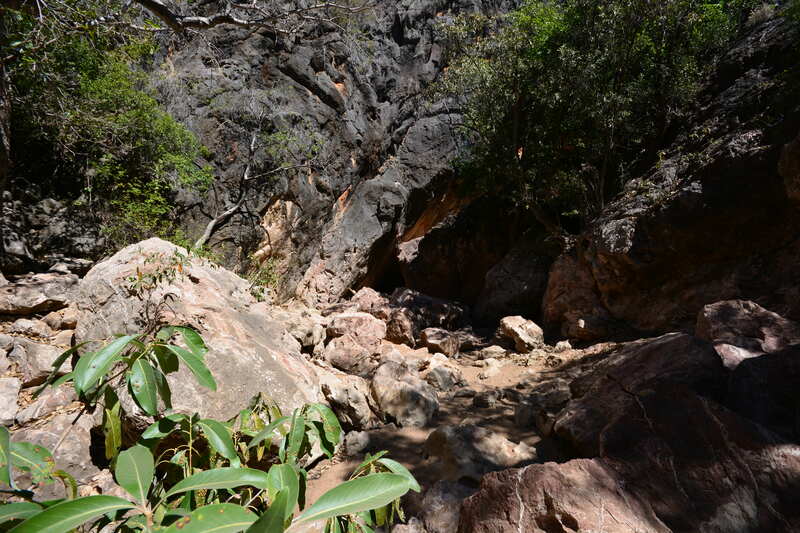 Tunnel Creek is Western Australias oldest cave system, in Tunnel Creek National Park, and is famous as a hideout used late last century by an Aboriginal leader known as Jandamarra. He was killed outside its entrance in 1897. 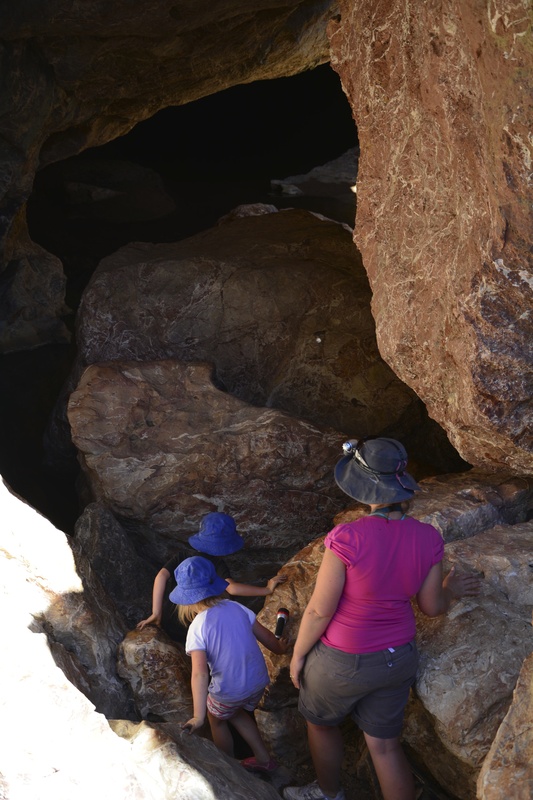 The entrance is actually a little tricky to find which adds to the experience – the kids were so excited running off ahead of us along the path to the cave entrance that they totally missed it and had run off up a hill and we all had to turn around and come back! Can you spot the entrance? 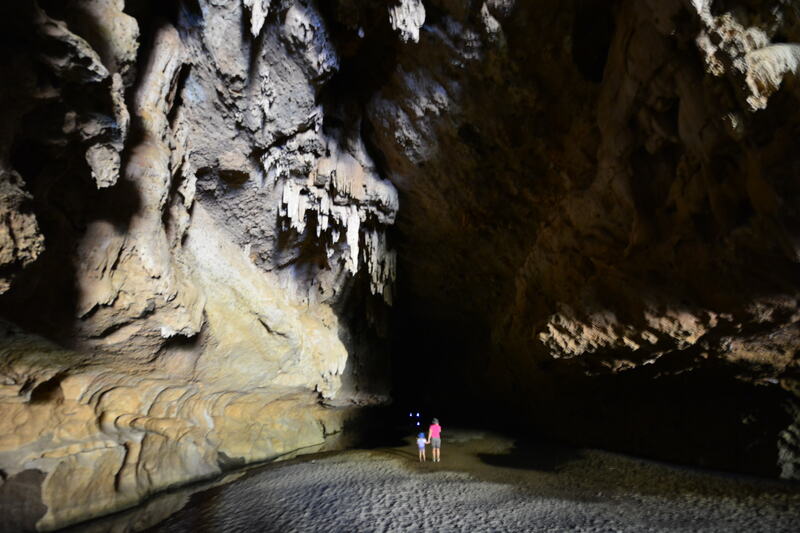 The cave is about 750metres long and quite dark in places so taking a torch is a must. 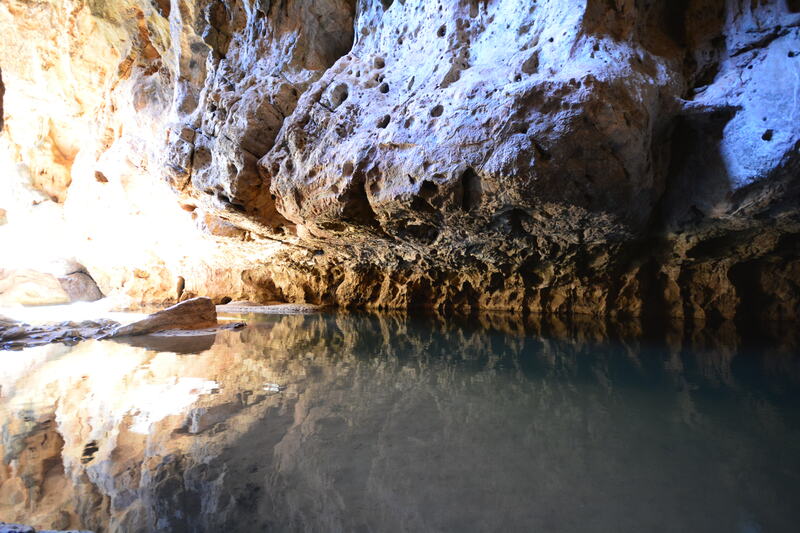 You have to wade through quite a few permanent water pools which were mostly only ankle deep when we were there – except for the last one which was about waist deep. I think if you are there after the wet season there is quite a bit more water around and you may even have to swim in parts. 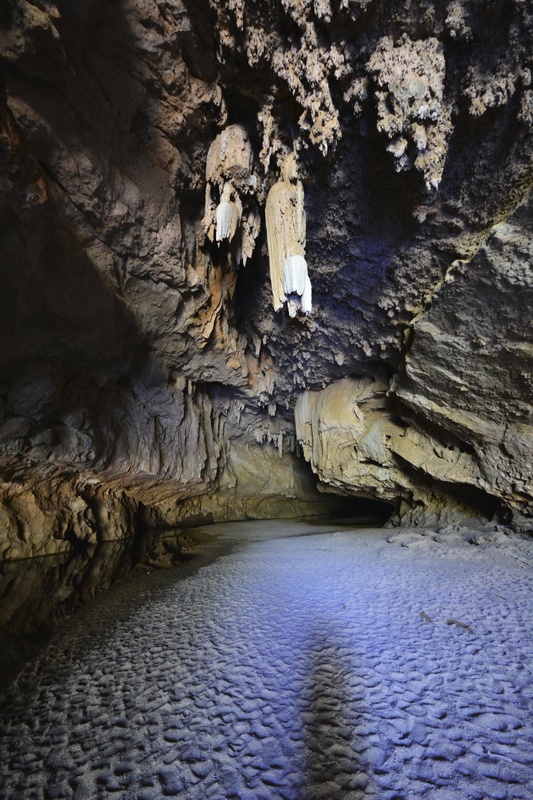 There are a colony of bats living in there and some beautiful stalactites that descend from the roof in many places. It was really quite fascinating. The boys loved it! Lex wasn’t quite as keen! 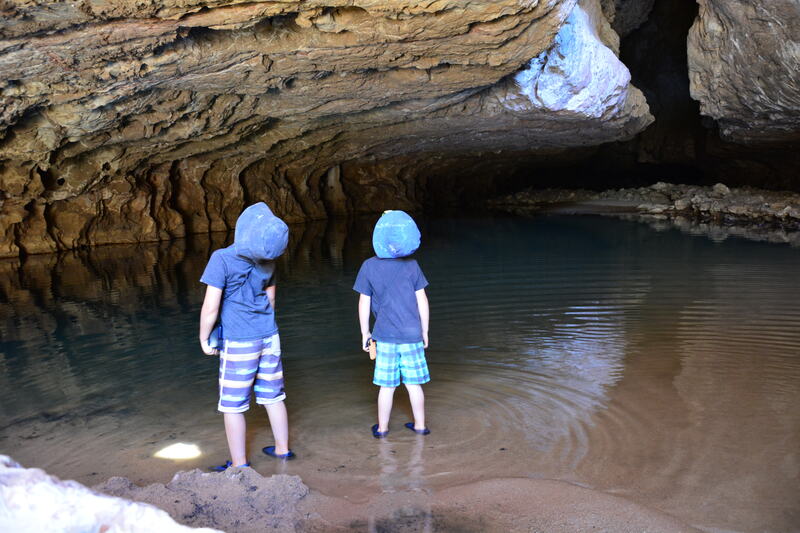 Hard to capture the stalactites – they were beautiful! 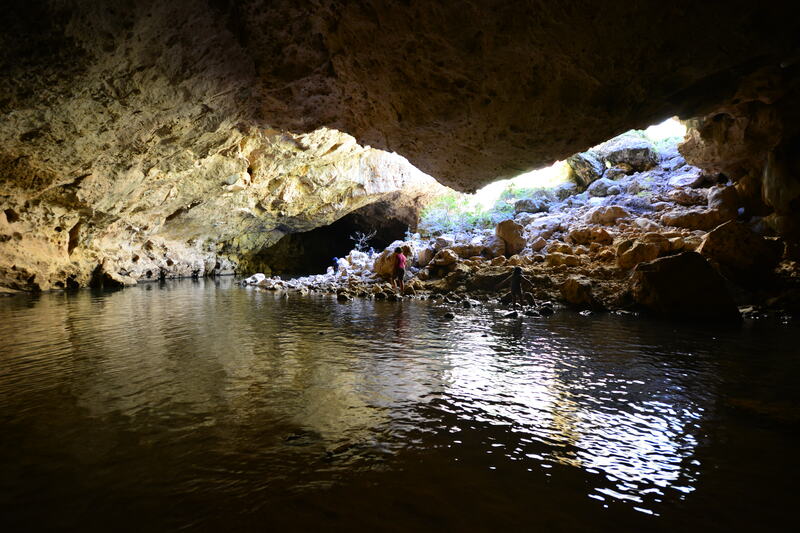 We finished with a quick dip in the water hole at the other end of the tunnel which the backpackers swimming there assured us was croc-free! 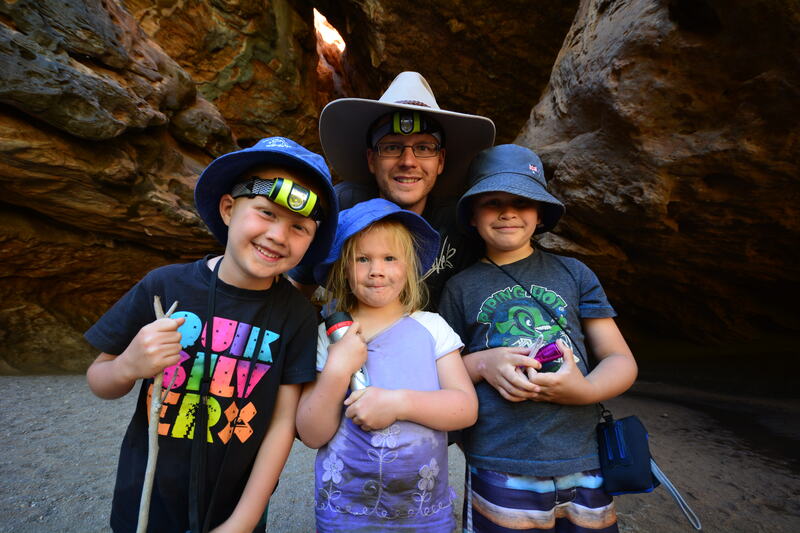 It is really quite a quick sightseeing trip – we spent about an hour there and felt like that was heaps of time and tunnel creek is only about a 45 minute drive from the Windjana Gorge campground where we had based ourselves for two nights. There is also some Aboriginal Artwork on the cliff face at the end of the tunnel which was quite easy to spot and something else interesting to see. 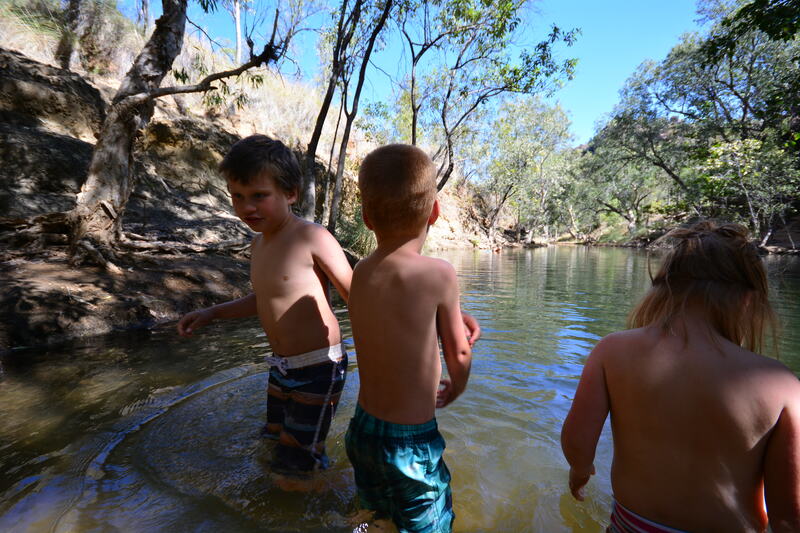 Having a dip in the water hole at the end of the tunnel – a little chilly! 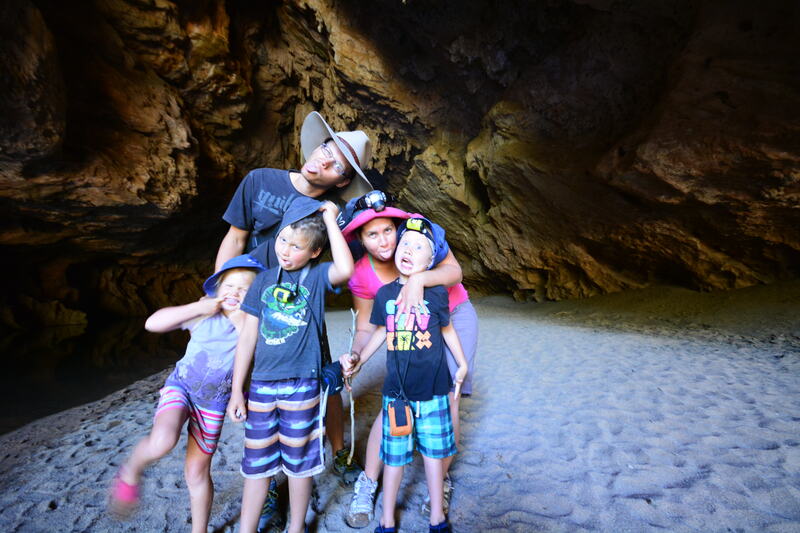 The whole family enjoyed our afternoon out at Tunnel Creek, although be warned – all that time in a dark cave can make you go a little crazy!